Today I'm guest posting over at Jedi Craft Girl for "A Week of Quilt Tutorials"! Stop on by and read about how I created a modern block from a nail polish ad (yes, for real!). 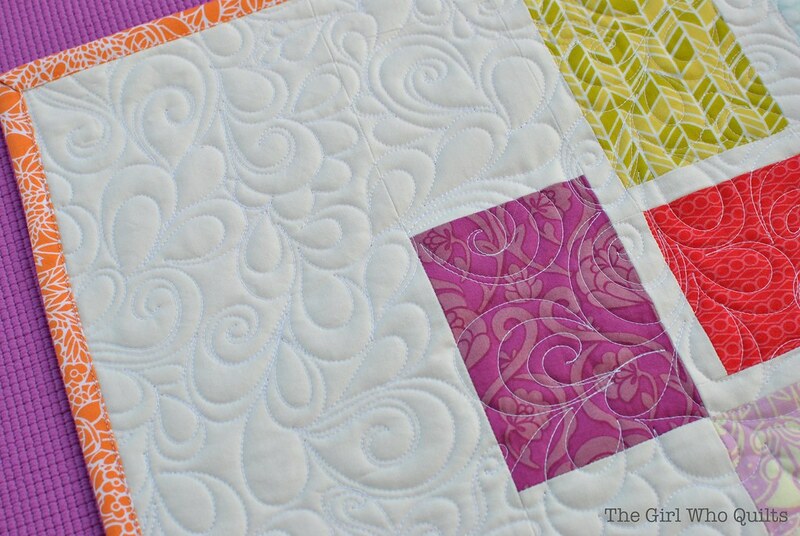 Then follow the tutorial to create your own "Perfectly Polished" mini quilt, or make several blocks for a larger quilt! Be sure to check out the other tutorials from this week as well. Lots of quilty inspiration! And browse Amanda's creations, too - she has some really fun tips for tie dying. It's a great summer project and fun for all ages! We just tie dyed with 10 kids at Addy's 6th birthday party, and it was a blast. Plus the shirts all turned out great!